Stunning duplex penthouse perched atop 2midtown! 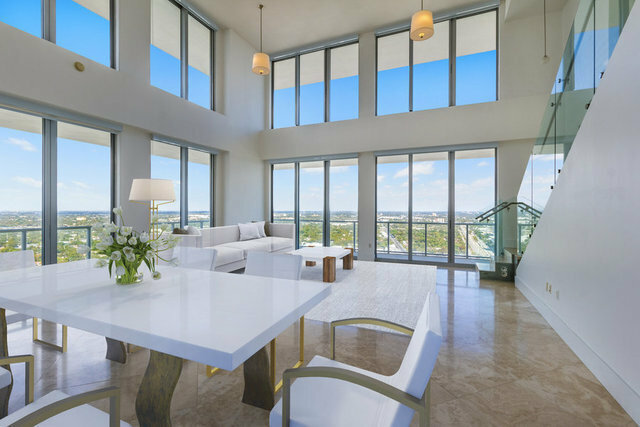 One block from super chic Design District, this upgraded PH residence features 3138 Square Feet of interiors with soaring double height ceilings, marble floors, glass staircase and upgraded kitchen. Enjoy dramatic ocean, bay and sunset views from 1300 Square Feet of outdoor space. 2Midtown is a full service condo with luxury services and amenities surrounded by the complete collection of everyday and luxury fashion and culture. Close to Wynwood and South Beach, location is the ultimate luxury!